Bryan Browning knows what it is like to be a bit of a rarity in the legal profession. He’s a Hispanic attorney in a profession still lacking in diversity, and he works as a commercial and products litigator with a specialized expertise in fire and explosions. The Michigan native came to the Twin Cities to attend the University of Minnesota Law School and committed to staying with the help of a mentor. Since 2013, Browning has been an attorney at Minneapolis-based Bassford Remele. Browning helped create the Diversity Committee of the Minnesota Defense Lawyers Association and served as co-chair for two years. 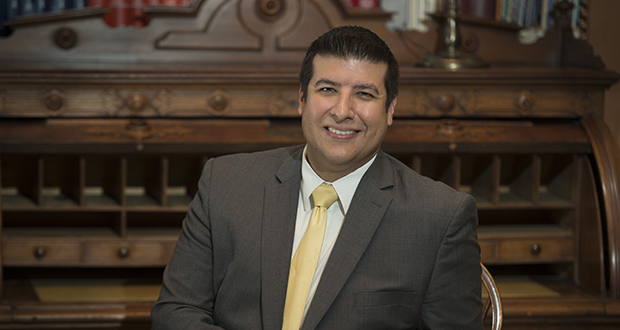 He has also served as president of the Minnesota Hispanic Bar Association and is the national finance director of the Hispanic National Bar Association. In serving as co-chair of the Diversity & Inclusion Council for the Minnesota State Bar Association, Browning helped coordinate a national conference on racial and ethnic fairness in the summer of 2018. On a more individual level he mentors, volunteers and tutors throughout the Twin Cities. Browning is the first member of his family to graduate college and to become a lawyer. He wants to pave a path for others.